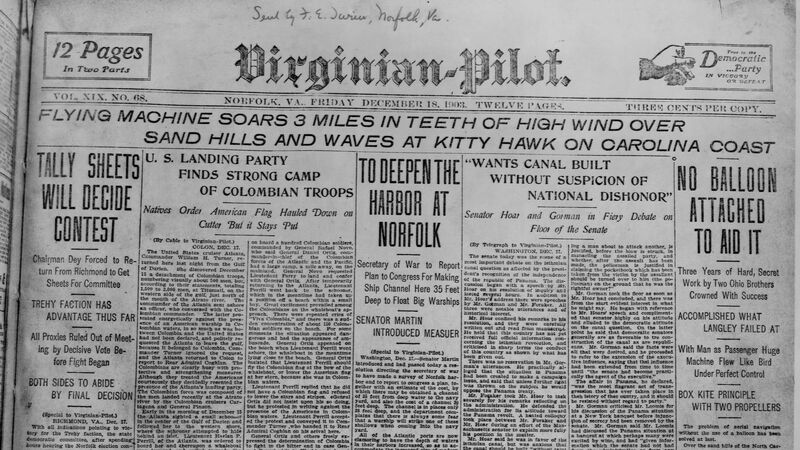 Newspaper conglomerate Tronc, which owns a plethora of local American newspapers like The Los Angeles Times and The Chicago Tribune, has purchased Norfolk's Virginian-Pilot, Virginia's largest newspaper, for $34 million. Why it matters: It is another example of a local newspaper being bought up by a larger conglomerate or holding company in the wake of a difficult economic climate for the newspaper and local news publishing industries. Tronc is buying The Virginian-Pilot newspaper from Landmark Media Enterprises for a cash purchase price of $34 million, subject to customary closing conditions, the company said in a statement. With the transaction, Tronc also acquired The Virginian-Pilot’s real estate portfolio, including its headquarters in downtown Norfolk, its printing and distribution facilities in Virginia Beach and a number of satellite offices in Norfolk and North Carolina. It also gets the paper's subsidiary publications: Inside Business and Style Weekly. "In order to most effectively continue its important work, The Virginian-Pilot must have the benefit of the resources of a large organization,” said Rusty Friddell, general counsel of Landmark Media Enterprises in a Virginian-Pilot article about the purchase. “Tronc brings the scale and commitment to best serve our important mission." Go deeper: Tronc, which was formally called Tribune Publishing, changed its name in 2016 to reflect its foray into digital publishing. But ever since, it's experienced a range of messy management and financial issues. See Tronc's timeline of turmoil.